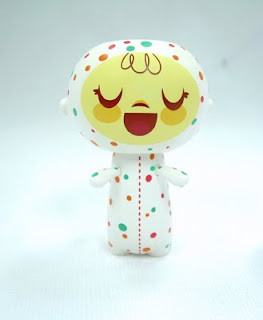 Blankie Series 1 is a community-driven series of mini figures made by Aarting. The artists chosen for the first series are: Menilla, Stor Dubine, PO! (Patricio Oliver), Igor Ventura, Chupa & Cabra, Atomic1970, Cvele, Miss Shelby, Jaoc, Jec, and McCoy. 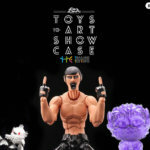 For more info on this line of toys, check their website, follow their blog, or participate in their forum. 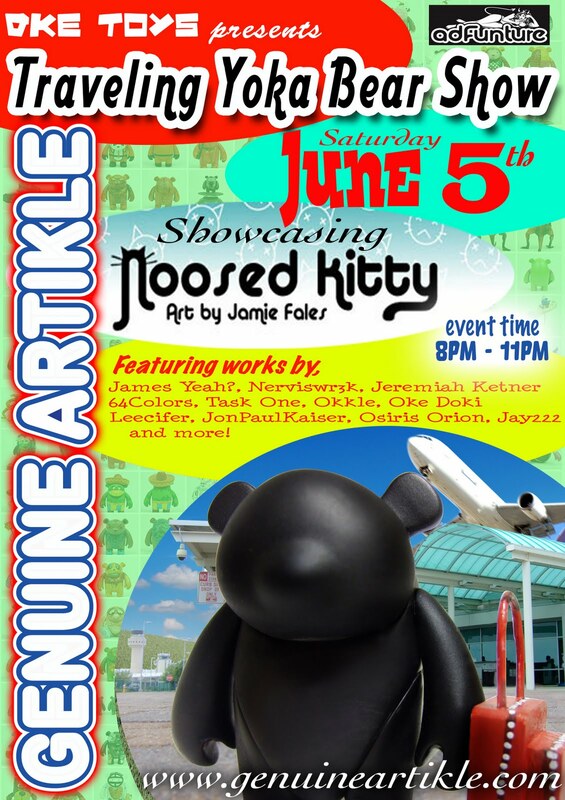 Custom toy show June 5th, 8-11PM at Genuine Artikle on Long Island, NY, using the Yoka platform as a base for the customs. Featuring customs by James Yeah, Nerviswr3k, Jeremiah Ketner, 64Colors, Task One, Okkle, Oke Doki, Leecifer, JPK, OsirisOrion, Jay222 & more! 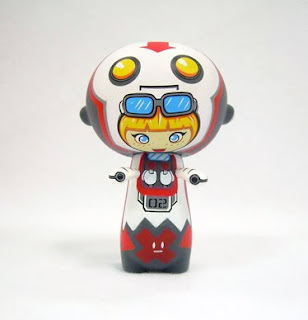 Mr. Munk shows of his first custom vinyl toy: a Mr. Power figure for ToyQube's Power Arts for Power Up Mr. Power custom show. NICE work, especially for a first custom! Mark Nagata is back, with a brand new edition of his new CAPTAIN MAXX MINI KAIJU FIGURES! This time, the five characters - Captain Maxx, Alien Xam, Drazoran, Eyezon and Tripus - are in glorious FULL COLOR! I believe these will be available soon. 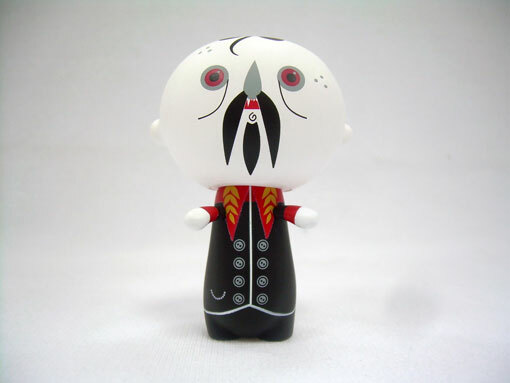 Limited Edition, 5 inches tall, high quality and made in Japan out of rotocast vinyl. Retail = $14.99 each. Interested? Email us. Ghost Girl was born out of two loves, the female form (specifically the face), and the Ms. Pac-Man video game (specifically the ghosts). Originally two separate designs that were combined out of experimentation, the end result proved to be iconic and widely recognizable. 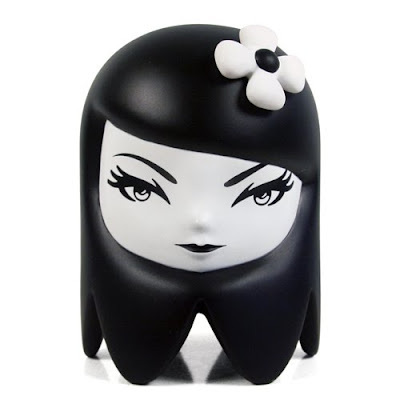 Derived from street artist Matt Siren's classic two dimensional graphic representation, Ghost Girl comes to life in vinyl form as three dimensional character art. 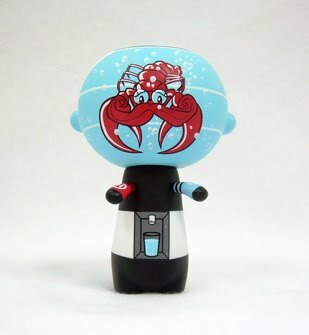 6" tall vinyl figure made by MPHLabs. Matt Siren is an illustrator and street artist based in Queens, NY. His art is heavily stimulated by images from the 80's such as cartoons, video games, graffiti, heavy metal cd covers, posters in the Art Nouveau style, pinup and the emergence of modern day (computer generated) graphic design & branding. His work is iconic - both clean and gritty, using clean lines over textural backgrounds. 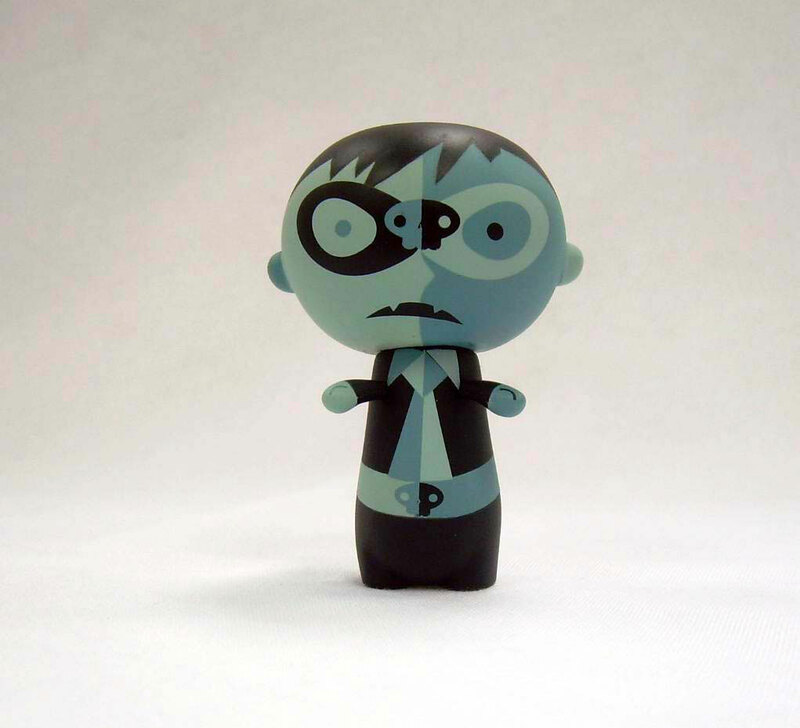 In 2005, he created "Ghost Girl" as his signature icon in representing his current work. Matt's work can been seen in clothing lines by Better Days Clothing, skateboards by Reciprocal Skateboards, RoyalFlush Magazine, numerous galleries in the NYC area, as well as throughout the streets of Manhattan. 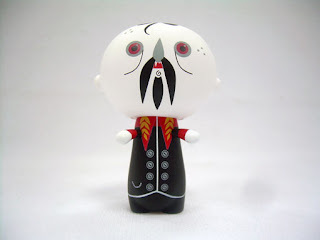 Coming in July-ish is the new 5-inch vinyl DIY (white) Jumping Brain by Emilio Garcia, made by Toy2R. 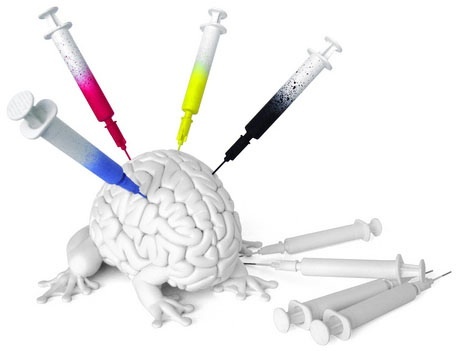 (Syringes not included. I don't think.) Anyway, we'll update this post with a link to the preorder later on when we're closer to release date. 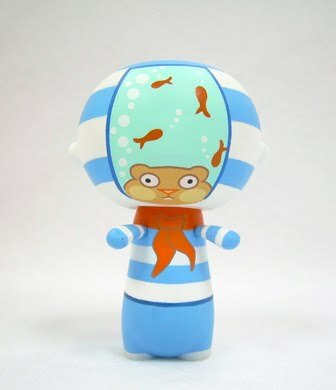 The 2" blind box Jumping Brains have proven to be incredibly popular, so we anticipate a lot of buzz for the 5" version! Almond & Salamandra (vinyl figure prototype paint job), originally uploaded by PO! !.